Truck drivers who might have sleep apnea can expect more screening for the medical condition from trucking companies. That’s the result of an April U.S. Supreme Court decision not to hear a case from a driver who claimed a carrier violated his rights by requiring him to be tested. The driver, Robert Parker, had appealed a lower court decision that Crete Carrier Corp. didn’t violate Parker’s rights under the American with Disabilities Act, or ADA, by requiring him to be tested for sleep apnea because he had a body mass index, or BMI, of 35 or higher. He had given the company a note from his personal doctor saying testing wasn’t necessary. But Parker was fired after he refused to take the test. With less fear of lawsuits being brought against them for having sleep apnea screening, more carriers may choose to test drivers. Some companies require drivers to pay for the tests. “The courts are reluctant to grant ADA protection for obesity,” said David Garrett, a labor law lawyer in Glendale, Calif.
Obstructive sleep apnea, or OSA, is a disorder which a person’s breathing stops and starts repeatedly during sleep. There are different forms of sleep apnea, but OSA is the most frequent type. Factors contributing to sleep apnea include obesity, lack of physical fitness, bad diet, smoking and poor sleep patterns. Complications from OSA include fatigue, cardiovascular problems, eye troubles and complications with medications and surgery. The risk for truckers is they could become drowsy while driving and crash. “To choose a lifestyle to give you sleep apnea, you choose to be a trucker,” said Anthony Warren, a sleep apnea expert in Warriors Mark, Penn., who owns an app called BreatheSimple that teaches breath-holding techniques to promote better sleep quality. Truck driving is a solitary job that can lead to being overweight and other health problems, Warren said. Truck drivers with OSA who don’t get treatment have a rate of preventable crashes five times higher than truckers without the ailment, according to a study by the Harvard T.H. Chan School of Public Health. Researchers estimated that up to 20 percent of all large-truck crashes result from drowsy or fatigued driving. There are no federal regulations for tracking or treating sleep apnea in transportation workers. Federal officials have been working on guidelines for more than a year. Two FMSCA advisory committees — the Medical Review Board and the Motor Carrier Safety Advisory Committee — have recommended requiring sleep tests for drivers with a BMI of 35 or higher. But the FMCSA has not taken action on the recommendations. “Although the FMCSA has not yet adopted such a rule, any carrier adopting requirements is doing its due diligence to ensure their drivers are healthy enough to prevent catastrophic accidents that can lead to serious injuries and fatalities,” said Jared Staver, a truck accident lawyer in Chicago. 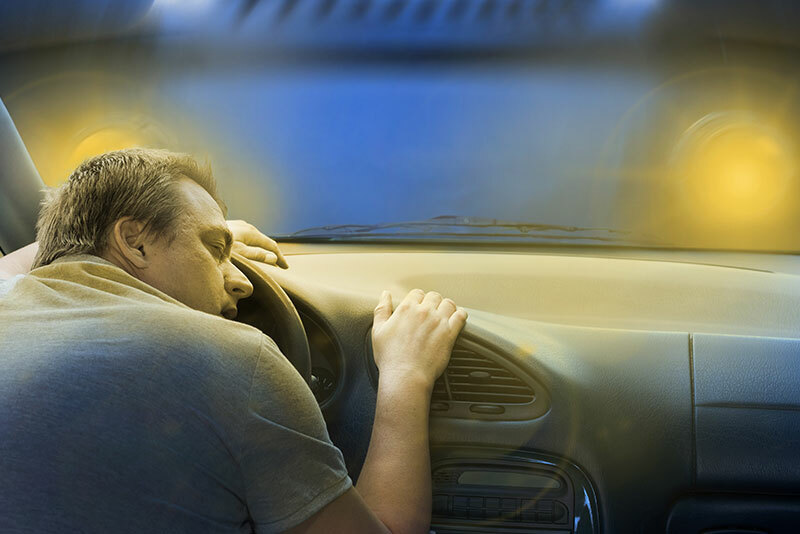 The proposed rule would require drivers with sleep apnea to be treated for it in order to drive, said Dr. Jeffrey Durmer, a neurologist, sleep health expert and chief medical officer at FusionHealth, a sleep technology company in Atlanta. But some in the trucking industry see such regulations as intrusive. There’s no link between truck crashes and sleep apnea, said Norita Taylor, spokeswoman for the Owner-Operator Independent Drivers Association, or OOIDA, which represents drivers who own their own trucks. The trade group said federal collision data have found that fatigue contributes to only a small percentage of fatal crashes involving large trucks. “We don’t think there should be a mandate for sleep apnea based on BMI,” Taylor said. Trucking companies that monitor one common treatment for sleep apnea, the use of a Continuous Positive Airway Pressure, or CPAP, machine by drivers, are violating a federal privacy rule that establishes national standards to protect medical records and other personal health information, Taylor said. The CPAP machine, which is the most common treatment for sleep apnea, pumps air into a mask that fits over the mouth, nose or both to keep the airways open during sleep. Aeroflow, a company that sells CPAP machines and works with trucking companies to test employees for OSA, requires a 70 percent utilization rate — meaning the CPAP must be used 70 percent of the time during sleep — to show compliance within 90 days, said Michael Trufant, business development manager for industrial markets at Aeroflow. Without hitting that threshold, their company may not allow them to drive, Trufant said. “Nobody wants to lose their job, but who wants to question the safety overall?” he asked. The Supreme Court’s rejection of the appeal likely means that truck drivers will see more monitoring and work rules surrounding sleep apnea and testing for the condition, said Garrett, the labor law lawyer. Smaller trucking companies may require workers to pay for their own testing, which averages about $1,200, he said. Already, that cost is often passed on to drivers. A study by the American Transportation Research Institute found that among drivers who had been referred to a sleep study, 53 percent paid some or all of the test costs. The average was $1,200, representing about 1.5 weeks of median driver pay at $805 per week. Small trucking companies may not offer health insurance, or drivers who are independent contractors could be told to pay for the testing, said Durmer of FusionHealth. “When there is a risk of sleep apnea, it is on the individual if they have it or not” and to be tested for it, he said. 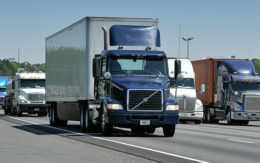 Otherwise, trucking companies could spend millions to test truckers so that the carriers could avoid lawsuits, he said. “It could really bankrupt the industry to require testing,” Durmer said. A home test costs about $500, while a test at a sleep study facility can cost $9,000, he said. “The cost of it is definitely difficult,” Durmer said, and a problem still to be solved. But drivers have some leverage. Editor’s note: A earlier version of this story incorrectly reported that the Federal Motor Carrier Safety Administration has recommended requiring sleep tests for drivers with a BMI of 35 or higher. That is only a recommendation by two advisory committees to the federal agency. It has not been adopted. Blood testing need most of all blood sugar level can reveal diabeetus which causes drowsiness and sleep this test must take by trucker? Oral sleep apnea devices are another option. Renew Sleep Solutions may be a great option for the 50% of people diagnosed with OSA that are not compliant or can not tolerate the CPAP. This product is FDA indicated for the treatment of OSA. There are locations through the US. A problem with oral appliances is showing compliance with use. There are two oral appliances with compliance chip technology with FDA approvals on the market. Ooida’s position and comments on no link between untreated sleep apnea and crash risk is not supported by researcher. For information rebutting the Ooida article cited in the article. Who gets rich off these cpap machines what a scam? If they were serious about safety pay drivers hourly put drivers up in hotels where they can get proper rest! health certificate. I am healthy and mobile. This doesn’t seem correct. Any feedback?